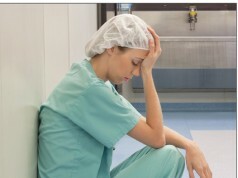 BAD NEWS for U.S. medicine: Nearly two-thirds of U.S. physicians say they feel burned out, depressed or both, according to reporting from Reuters Health. That percentage is based on responses from more than 15,000 doctors across 29 specialties who answered questions in a Medscape survey. 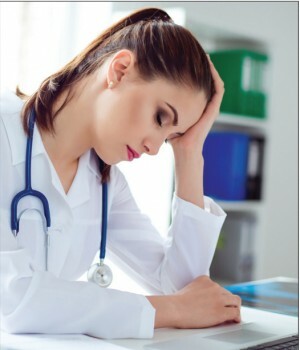 Among doctors who reported burnout or depression, one in three admitted feeling easily exasperated by patients, while a similar number said they were less engaged with their patients. 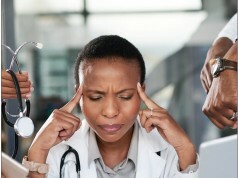 Nearly 15% of those physicians said their mental state might cause them to make errors they wouldn’t otherwise make. Among specialties, critical care physicians and neurologists reported the highest burnout rates (both with 48%), followed by family physicians (47%) and ob/gyns and internists (46%). Plastic surgeons (23%) and dermatologists and pathologists (each with 32%) reported the lowest rates. BITTEN BY a bad review online? Some physicians and hospitals are fighting back in court against organizations or anonymous reviewers they say are knowingly publishing bad information. Healthcare DIVE last month reported that Chicago’s St. Anthony Hospital has filed a suit against the Leapfrog Group, alleging that Leapfrog knowingly used flawed data when it busted down the hospital’s patient-safety grade and then posted the lower grade online. According to the suit, going public with a grade based on the wrong data amounts to defamation. And two Texas emergency departments have filed court petitions to force Google to reveal the identities behind screen names used in negative reviews. Their goal: to see if the reviews were posted by actual patients who had been treated in those emergency departments. 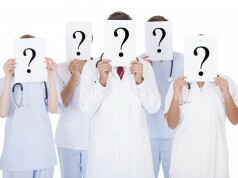 Individual physicians have also filed suit over unfavorable anonymous reviews. To prevail in court, hospitals and doctors must prove that online ratings or reviews go beyond expressing an opinion and have actually caused them or their business harm.